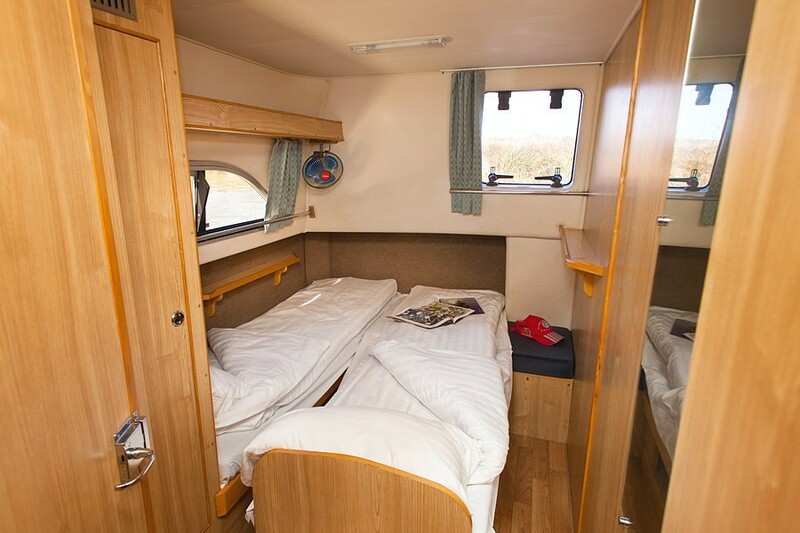 Two steering positions - interior and exterior. 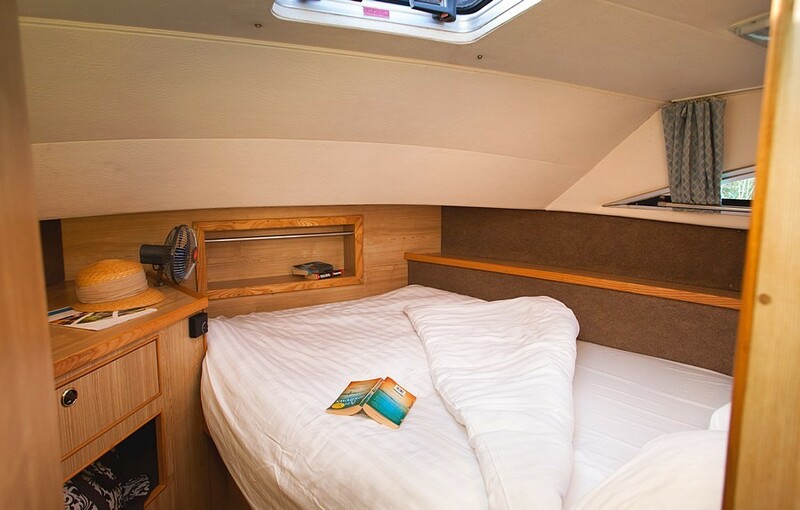 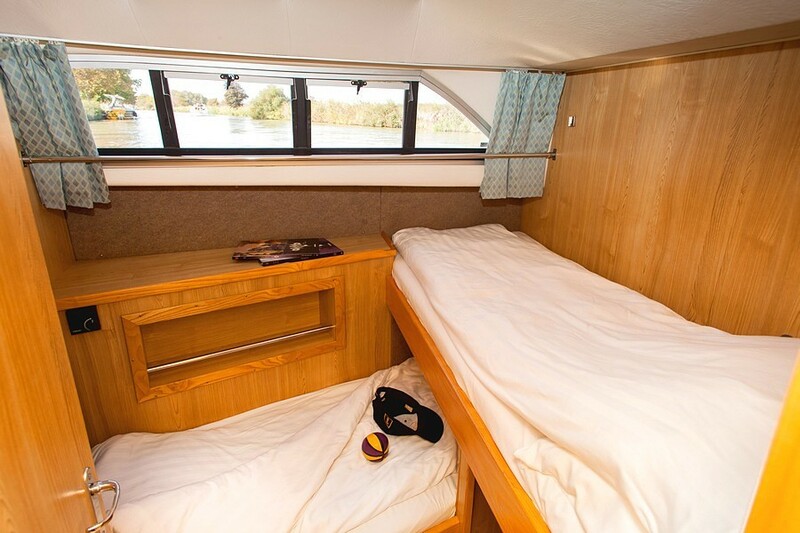 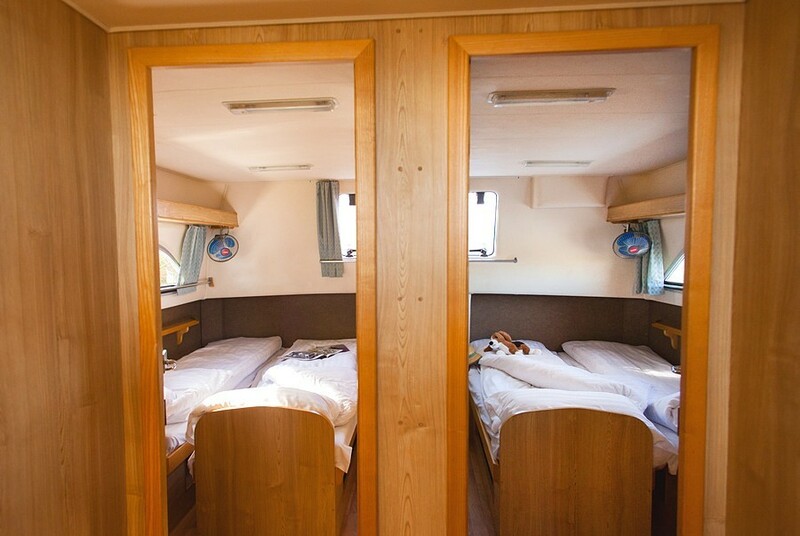 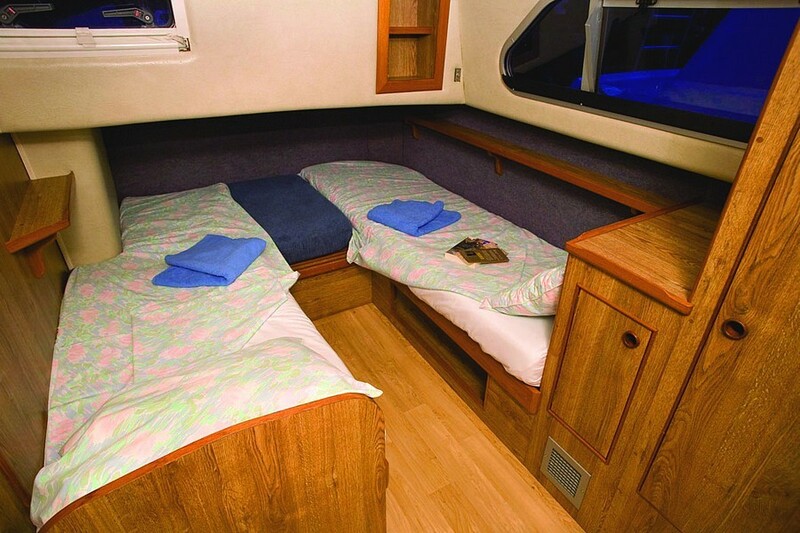 Two forward cabins, one with double berth, other with two single berths. 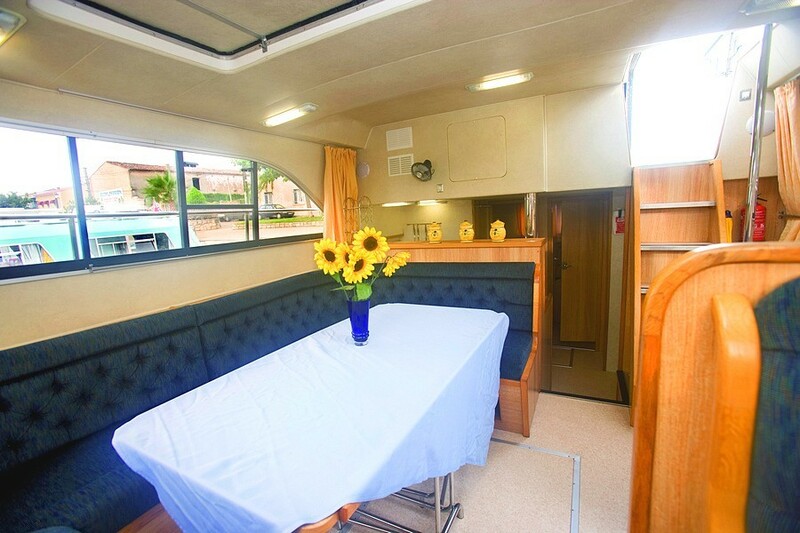 Huge saloon with convertible settee, folding table and sliding door for access to outside decks. 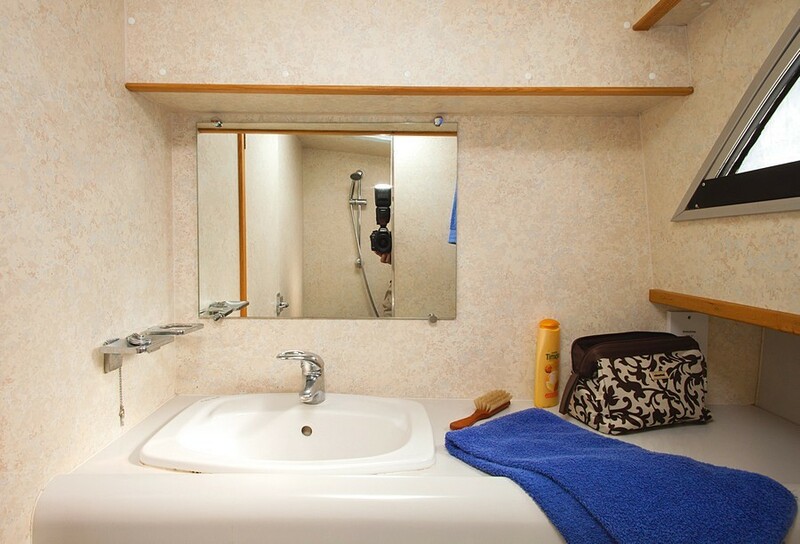 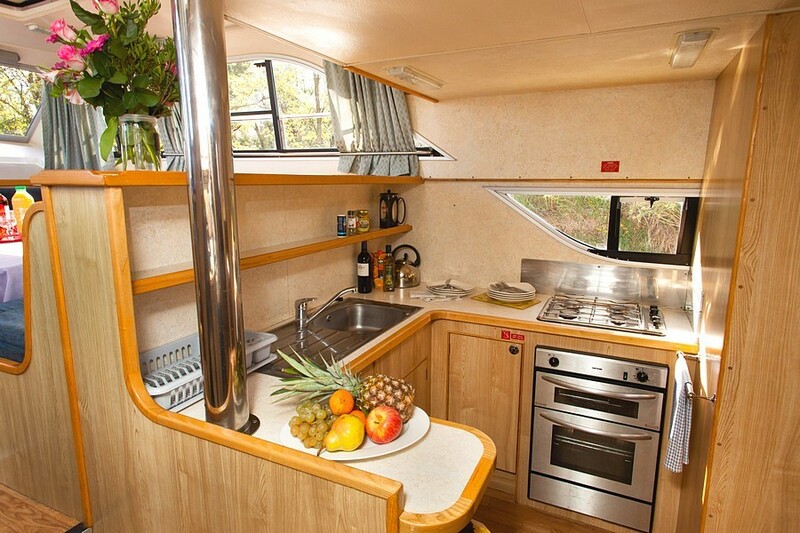 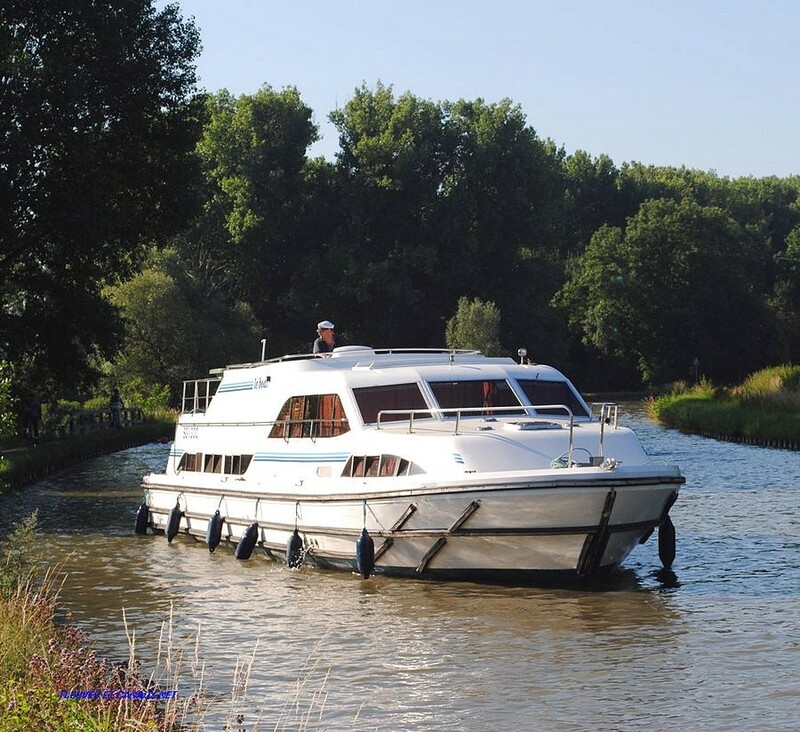 Large galley on lower level, fully equipped including refrigerator. 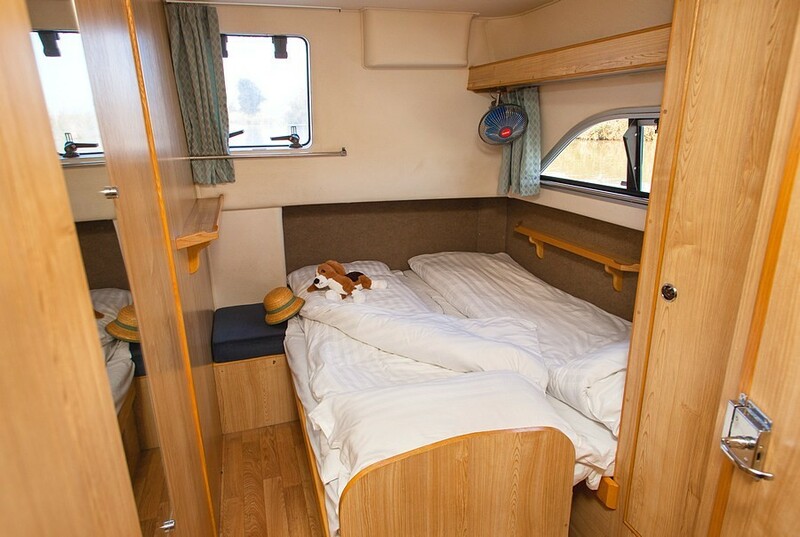 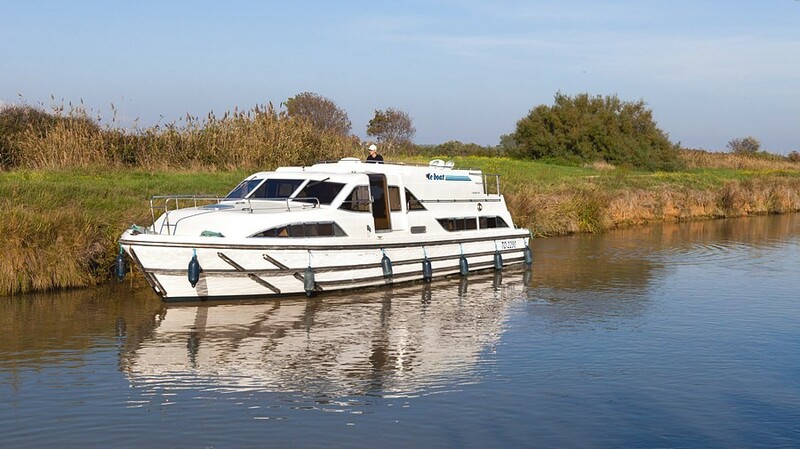 Two rear cabins each with single berths convertible to double. 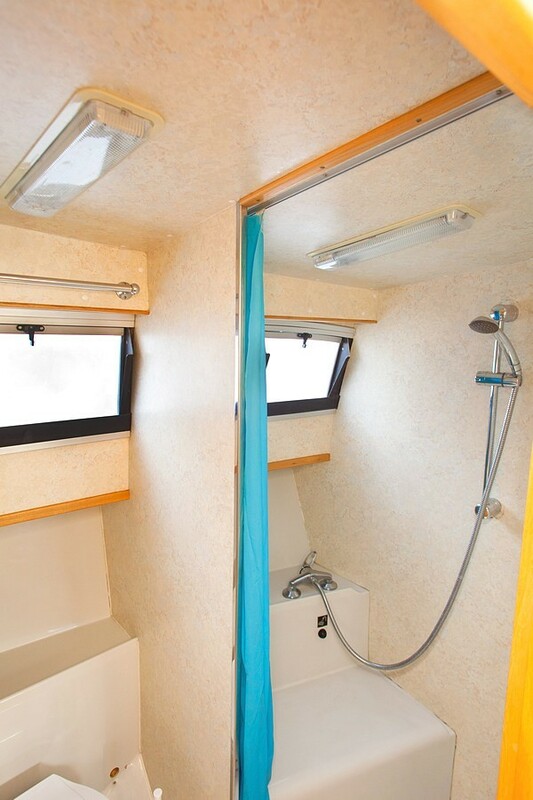 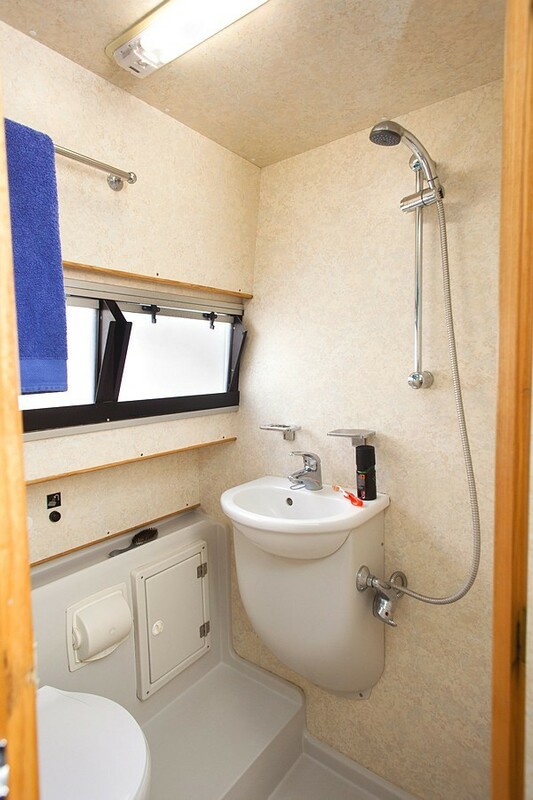 Three separate shower, and three toilets, forward and aft. 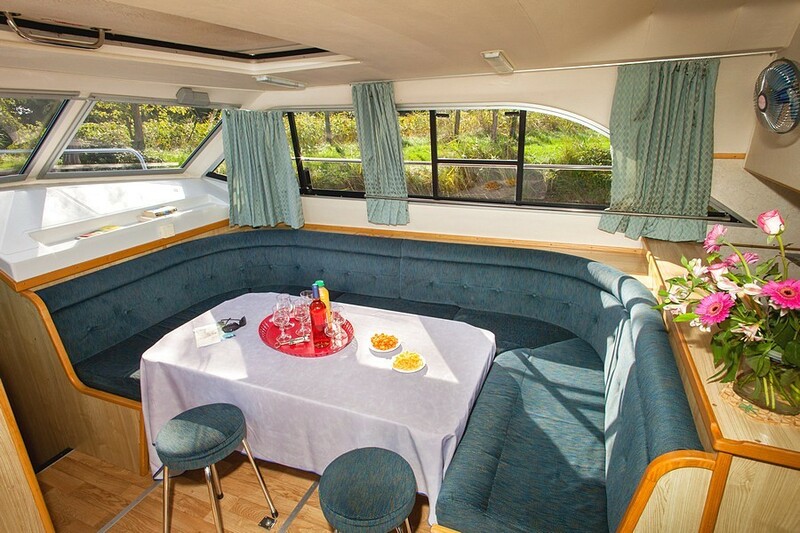 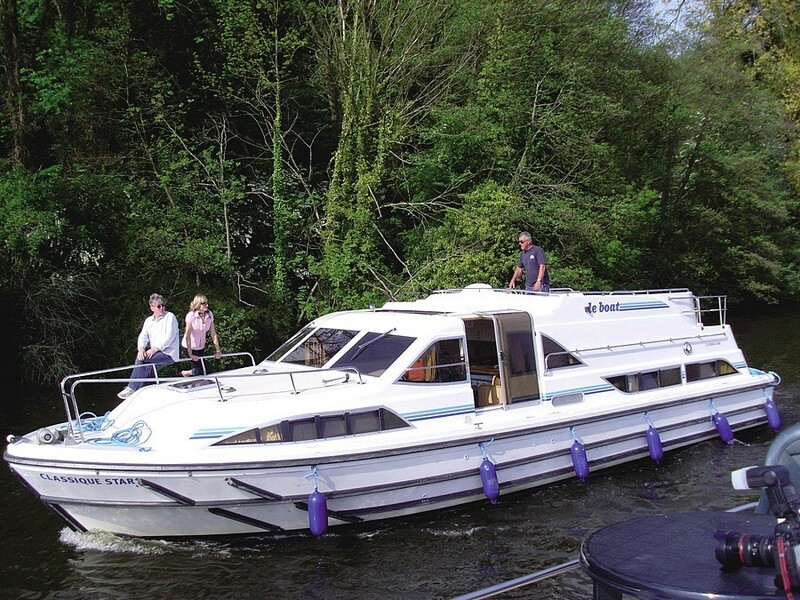 Spacious upper sun deck, directly accessible from the saloon with second steering position, table, chairs and a parasol.